The coaching inn was a vital part of the inland transport infrastructure until the development of the railway, providing a resting point for people and horses. The inn served the needs of travellers, for food, drink, and rest. The attached stables, staffed by hostlers, cared for the horses, including changing a tired team for a fresh one. Coaching inns were used by private travellers in their coaches, the public riding stagecoaches between one town and another, and the mail coach. Originating in England in the 13th century, the stagecoach as we know it first appeared on England’s roads in the early 16th century. A stagecoach is so called because it travels in segments or “stages” of 10 to 15 miles. At a stage stop, usually a coaching inn, horses would be changed and travellers may have a meal or a drink, or stay overnight. Coaching inns sprang up along these routes to service the coaches and their passengers. Many of these inns can still be recognised by the archways which allowed the coaches to pass through into the stable yard behind the inn. Travelling North, none of the coaches changed horses in the long seventeen-mile stage from Ferrybridge to Wetherby except the Royal Mail, which had to make better time, and therefore changed at the Swan at Aberford. Most of the coaches were horsed in and out of Wetherby from the Angel, which, although there was another coaching and posting inn in the town, had the monopoly, and was the head inn. 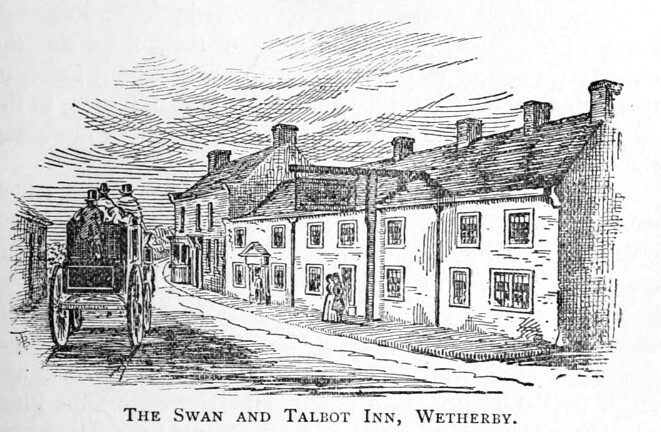 The other house, the Swan and Talbot, is the older of the two old coaching inns at Wetherby, and in its early days most of the Mails and coaches changed horses there, but after 1824 the coaching business fell away from it entirely, and from that date to the end of the coaching days it confined itself purely to the posting business. The original structure is an old low two-storey building, with a great frontage to the road, still occupied as an inn, whilst a more recent erection, added when increased traffic required increased accommodation, was used as a private residence. The stables were an extensive and somewhat complicated series of buildings, partly at the back of the inn and partly on the opposite side of the way, where the present Manor House gardens now stand. There would be standing room for at least sixty -horses, and this was once a busy place with the constant passing in and out of coach and chaise. 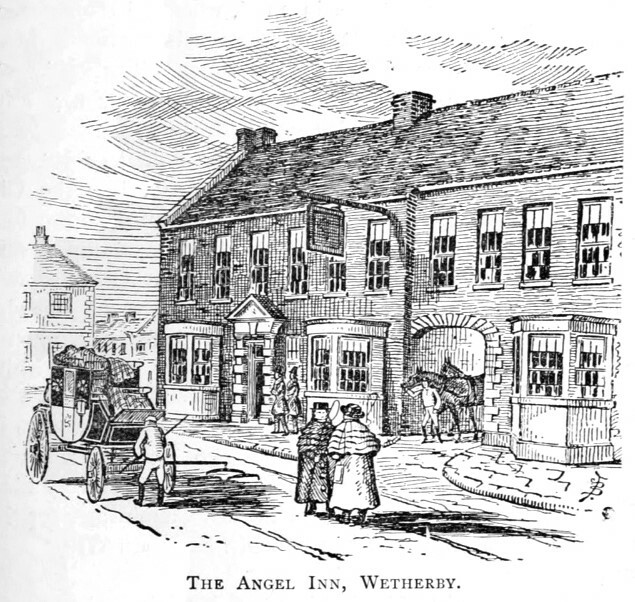 The history of the Angel at Wetherby is the history of Messrs. Cleminshaw, father and son—at least these are the only names known in connection with the coaching career of this inn, and Mr. Cleminshaw the elder probably came to the Angel soon after the mail coaches first began to run along the road. The regular coaches that ran along the road from Ferrybridge were the Express, the Railway and the Glasgow Mail. In 1837 the 399 mile journey from London to Edinburgh journey took 42hrs 23mins. Including stops the average speed was 9.5 mph. Besides the above-mentioned London coaches which were worked from the Angel, there were other coaches which joined the main road, all of which changed horses at the Angel. These were the North Briton (Leeds and Newcastle), the Highflyer (Leeds and York), the Royal Sovereign (Leeds and York), the Royal Pilot (York and Liverpool), the Expedition (Leeds and Newcastle), the Phoenix (Leeds and Newcastle), and the North Star Leeds and Carlisle). A further list of known carriers calling in Wetherby can be found below. The Angel Inn at Wetherby had fully occupied standing room for at least a hundred horses. The Inn was considerably enlarged by Mr. John Cleminshaw to meet the requirements of his constantly-increasing business, and so extensive were his coaching and posting connections that his own vast stabling at the Angel was found inadequate, and he was obliged to charter other premises, situated above the Swan and Talbot Inn. Many of the old coaching stables were later easily converted into cottages. Some time after the coaches had gone off the road the Angel was purchased by Mr. Henry Crossley, who converted some of the old stables into his printing works, whilst he erected his present offices on the site occupied by a portion of the inn that stood on the low side of the passage and was known as the Market Room. It was in this room that the local magistrates held their court. During the alterations one of the upstairs rooms, known as the Duke’s Room, was divested of no less than nine thicknesses of wall-paper, when some mural paintings of more than ordinary merit were disclosed. The subjects were scriptural, two of them representing the Nativity and the Flight into Egypt, the third being so defaced as to be unintelligible. The Post Office was originally stationed at the Angel, and would probably be established there in 1786, when the coaches first began to carry the mails. It was afterwards moved to more commodious premises higher up the street, but has made a return and is currently next to the Angel (now Sant Angelo Italian Restaurant) in what was the ground floor of Mr. Crossley’s print works. The Angel is within a mile of being half way between London and Edinburgh and the distance-post was fixed on the face of the inn. Although the principal part of Mr. Cleminshaw’s undertakings were connected with the coaches, he likewise had an extensive posting business, and his postboys, who all wore black hats, carried on a friendly rivalry with the white hats of the Swan and Talbot, more especially at assize or election times. At election times there were great doings at the posting-houses. A letter, written in 1825, speaks of engaging every horse, chaise, and every kind of conveyance under the control of Mr. Cleminshaw for the great election of that year between Mr. Fountain Wilson and Lord Lascelles. 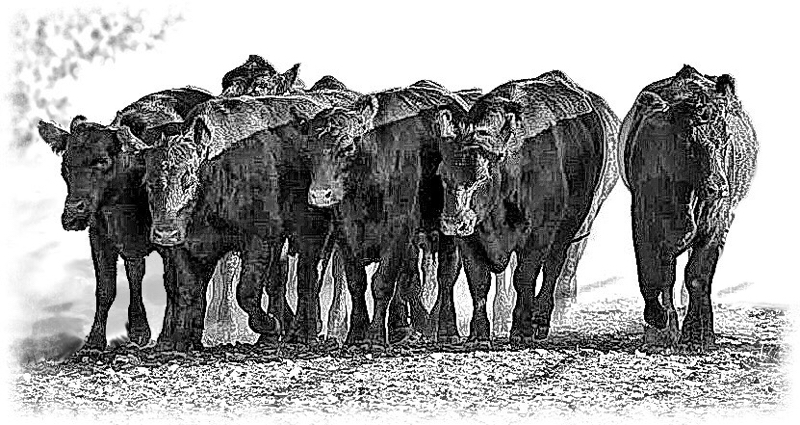 In certain seasons of the year the numbers of cattle that came south along the Great North Road were something prodigious. 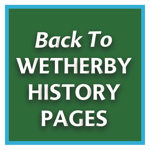 It is recorded that many a time from sunrise to sunset the streets of Wetherby were never for one minute free from cattle, as drove after drove passed through the town. Some of the Highland cattle were preceded by a Piper. Some idea of the magnitude of these droves may be gathered from the fact that individual herds were known to pack the road for fully a mile of its length. ACCOMMODATION (1833).— Leeds, Wetherby, Tadcaster, and York. From the White Horse, Leeds, daily, at 9 a.m.; arrived White Swan, York, at 11 a.m. Ran in opposition to the Royal Sovereign. CLEVELAND (1827-43).—Leeds and Redcar. Commenced in 1827 to run from Ripon, after arrival of Telegraph, by way of Thirsk and Northallerton, to Redcar. In 1830, ran from Bull and Mouth, Leeds, at 5 a.m., Mondays, Wednesdays, and Fridays, to Mrs. Sawray’s, Red Lion, and Mr. Spurr’s, White Swan Inns, Redcar. In 1838 it ran from the Golden Lion, Bull and Mouth, and Rose and Crown, Leeds. Worked by Mathew Outhwaite, Thomas Lee, and Thomas Coates, Leeds; Thomas Pearson, Knaresborough ; Richard Thwaites, Ripon; Mary Hall and William Andrews, Thirsk ; R. Turner, Tontine Inn; Robert Wilstrop, Guisbro. In 1842 it went to the Royal Hotel and Bull and Mouth, and ran through Wetherby. EXPEDITION (1823-30).—Leeds and Newcastle. Commenced running May 26th, 1823, from the Hotel and Golden Lion, Leeds, at 6 a.m., daily, by way of Wetherby, Knaresborough, Boroughbridge, Thirsk, Tontine Inn; Redcar, Stockton, Yarm, Sedgefield, Durham, Sunderland, and Shields; arrived Queen’s Head, Newcastle, 8 p-m.; arrived Leeds, from Newcastle, 8 p.m. Performed by Greaves, Lee, & Son. In 1827 went to the Hotel entirely and was worked by William Crossland & Co.
GLASGOW MAIL The Glasgow Mail, which began to run when the mails were first carried by coach, varied its routes considerably before it finally ran off the road. In the beginning of its time it ran by way of London, Hatfield, Alconbury Hill, Stilton, Stamford, Grantham, Newark, Barnby Moor, Doncaster, Ferrybridge, Wetherby, Boroughbridge, Catterick Bridge, Penrith, and Carlisle. In 1821 this coach was running through Barnett, St. Neots, and Buckden, to Stilton, thence along the Great North Road to Newark, where it branched off through Ollerton and Worksop to Doncaster, and after- wards pursued the above-mentioned route to Carlisle. In 1826 it began to run over a new line of road, through Pontefract to. Leeds, branching off the North Road at Barnsdale Bar. From Leeds it proceeded through Harrogate and Ripon, and struck the North Road again at Boroughbridge. NORTHERN HIGHFLYER.—Leeds and Thirsk. Ran by Wetherby and Knares- borough, Gascoigne’s Hotel, High Harrogate, Thirsk. NORTH BRITON (1815-20).—Leeds and Newcastle. Put upon the road February 1st, 1815, from the White Horse, Leeds, daily, at 8 a.m., by way of Wetherby, Boroughbridge, Thirsk, Northallerton, Darlington, and Durham ; returned from Turk’s Head, Newcastle, 6 a.m.; arrived Leeds, 9 p.m. Performed by Hollings, Clemin- shaw, Empson, Horner, Fletcher, & Co.
NORTH STAR (1829).— Leeds, Carlisle, and Edinburgh. Began November, 1829, from the Bull and Mouth, Leeds, at 7 a.m., Tuesdays, Thursdays, and Saturdays, by Wetherby, Knaresborough, Boroughbridge, New Inn (Leeming Lane), Catterick Bridge, Greta Bridge, Bowes, Stanmoor, Brough, Appleby, and Penrith. Per- — formed by Mathew Outhwaite, Jno. Cleminshaw, Hugh Stott & Co. PILOT (1816).—York and Began to run April 22nd, 1816, from the Black Swan and York Tavern, daily, 6 a.m., by way of Wetherby, Harewood, Skipton, Gisburn, Clitheroe, Blackburn, Preston, Ormskirk ; arrived Liverpool, 11 p.m.; returned 5 am. ; arrived York, 10 p.m. One guard and two coachmen throughout. RAILWAY (1835).—Knaresbro’ and Micklefield. Began to run June 15th, 1835, from the Elephant and Castle, Knaresbro’, at 5 a.m., daily, through Ribstone, North Deighton, Kirk Deighton, Wetherby, Thorparch, Bramham, Cross Roads, Aberford, to Micklefield, where it met railway to Selby, in connection with the steam packets to Goole, Hull, and Grimsby ; left Micklefield on arrival of the train. Fares: Knaresbro’ to Hull, outside and fore cabin, 6s.6d. ; inside and best cabin, 10s.6d. Performed by G. Firth, Clemishaw & Co.
ROYAL SOVEREIGN (1828-33).—Leeds and York. Ran from the Golden Lion, Bull and Mouth, and Rose and Crown, Leeds, daily, at 7 a.m., through Roundhay, Collingham, Wetherby, Marston, and Acomb ; arrived Black Swan and York Tavern, at Io a.m. ; returned at 2 p.m. This coach ran the same route as the High- flyer, except that the order of running was reversed, the Royal Sovereign leaving Leeds in the morning and returning in the afternoon. Both these coaches ran to the Black Swan and York Tavern, and were the joint property of the Leeds and York coach proprietors. Performed by Messrs. Crossland, Lee, Outhwaite, Frances, Clemishaw, Barber, Cattle, and Maddocks. TRUE BLUE (1821) Knaresborough and Selby. Commenced running April 16th 1821, from the Elephant & Castles and Bay Horse Inns, Knaresborough daily at 5am: arrived at Wetherby at 6am, proceeded through Tadcaster and Sherburn, and arrived at Selby half-an-hour before steam packet sails to Hull. Performed by Kidd, Wood, and Pollard. UNION – London and Newcastle Left London, daily, at 8 a.m.; arrived at the Crown, Newcastle, next evening, atg p.m. In August, 1529, the Union ran right through from London to Newcastle by way of Wetherby, Boroughbridge, Thirsk, Tontine, Yarm, Stockton, Sedgefield, Durham, to the Crown at Newcastle. This new departure was brought about in order to counteract the monopoly attempted by the Times. This kind of thing did not endure very long though, for the Union very shortly afterwards ceased to run through to Newcastle. The Union finally went off the road in 1841.